The Russian composer Cesar Cui (1835-1918) certainly wasn't just anybody: he was one of the â€˜Mighty Handful' around Modest Mussorgsky, was a member of the Academie francaise, and â€” not least â€” a feared critic. Franz Liszt's final piano transcription is based on one of Cui's compositions. The release 'Cesar Cui' features the first complete recording of his "Vingt Poemes de Jean Richepin" (opus 44). The album puts this headstrong character centre stage, who calls out to be rediscovered through his gritty beggars' ballads, gruesome stories from the gutter, and ironic innuendo. Cesar Cui's songs with piano accompaniment, based on texts by the wild French lyricist Jean Richepin (1849-1926), reveal a musical style that vividly combines Russian gestures with French charm. 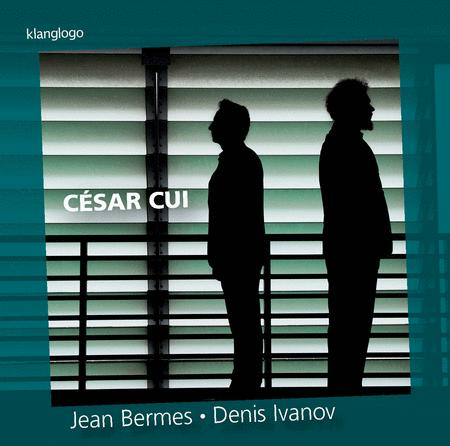 Baritone Jean Bermes (born in Luxemburg) and pianist Denis Ivanov (from St Petersburg) themselves reflect this bridging of cultures. As a duo, they engage with the Romantic song repertoire to great acclaim â€” and Cesar Cui's music appealed to them as an exercise in exploring the borders of this repertoire.